Texas offers an extraordinary array of adventures worth traveling for—for those who aim to collect memories instead of things. Ditch the socks and the gadgets, and instead wrap up one of these 10 unforgettable experiences for the holiday season. There’s no denying the romance of the open railroad. While automobiles and airplanes long ago displaced train travel, Amtrak’s three Texas routes offer a chance to travel the state as our grandparents did last century. 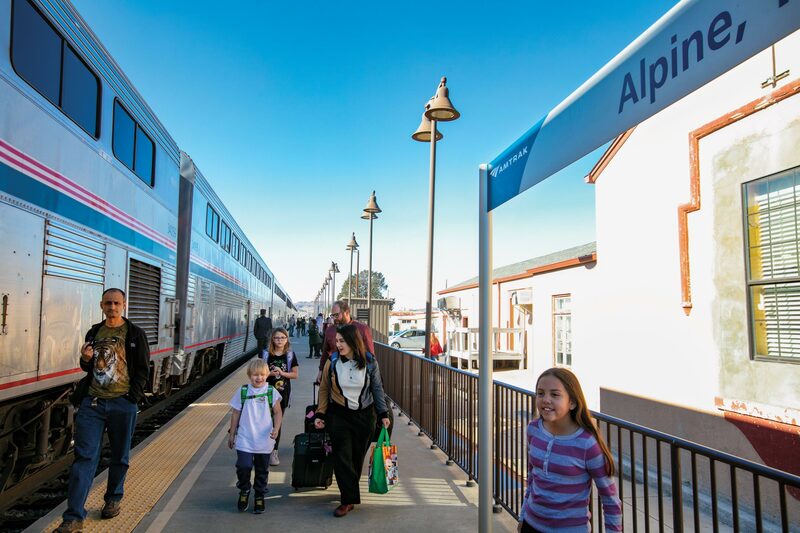 If you know someone who would appreciate a nostalgic break from highways and airports—or simply an alternative way to get home for a holiday visit—an Amtrak gift card could be just the ticket. Amtrak’s Sunset Limited train makes multiple stops on its east-west trek across southern Texas, part of its route between New Orleans and Los Angeles. The Texas Eagle cuts from Texarkana to San Antonio, and the Heartland Flyer chugs back and forth between Fort Worth and Oklahoma City. The Sunset and Eagle offer sleeping, dining, and sightseeing cars, and all three provide coach seating and café cars. Ticket prices vary widely, from $30 for a coach seat from Austin to Fort Worth to $500 for a bedroom car from Texarkana to El Paso. Perhaps the best part is the locomotive engineer handles the driving. Travelers are left at ease to read, nap, stretch their legs with a walk to the café, or strike up a conversation with fellow passengers as they take in the Texas countryside from a railroad perspective—verdant agrarian scenes, desert expanses, trackside industrial yards, and the occasional rodeo arena. 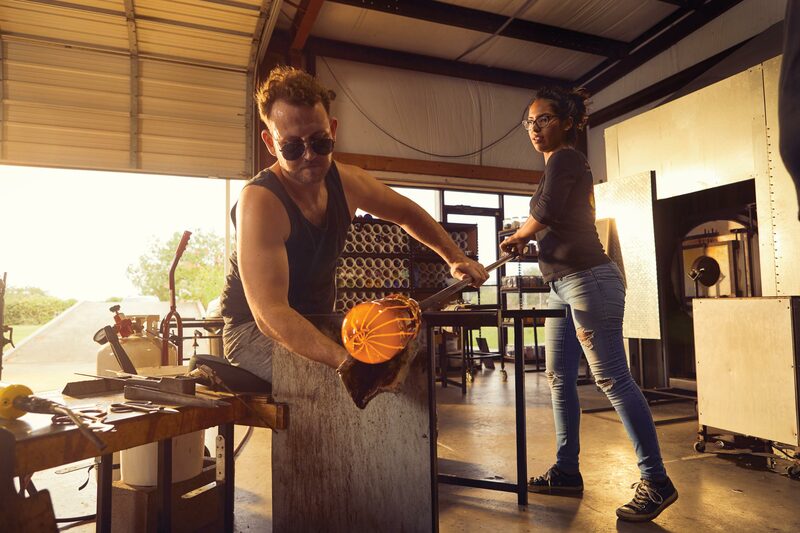 Assuming the lotus position and fusing molten metals are two opposites that attract in the one-day yoga and welding workshop hosted in Austin by Design Build Adventure, the design practice of Jack Sanders, a community-minded artist whose projects include the El Cosmico campground hotel in Marfa. 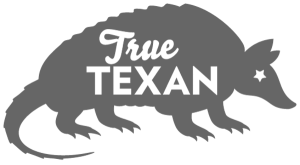 For $225, a dozen participants can get their minds right with a morning yoga session in service of getting their hands dirty in the afternoon scouring a scrap yard for material to cut and sand, and later weld together. The goal is to create an object inspired by a yoga pose, but really it’s about nudging people out of their comfort zones. Be prepared: Sessions end with a show-and-tell. But rest easy: there are also cold beers and street tacos. 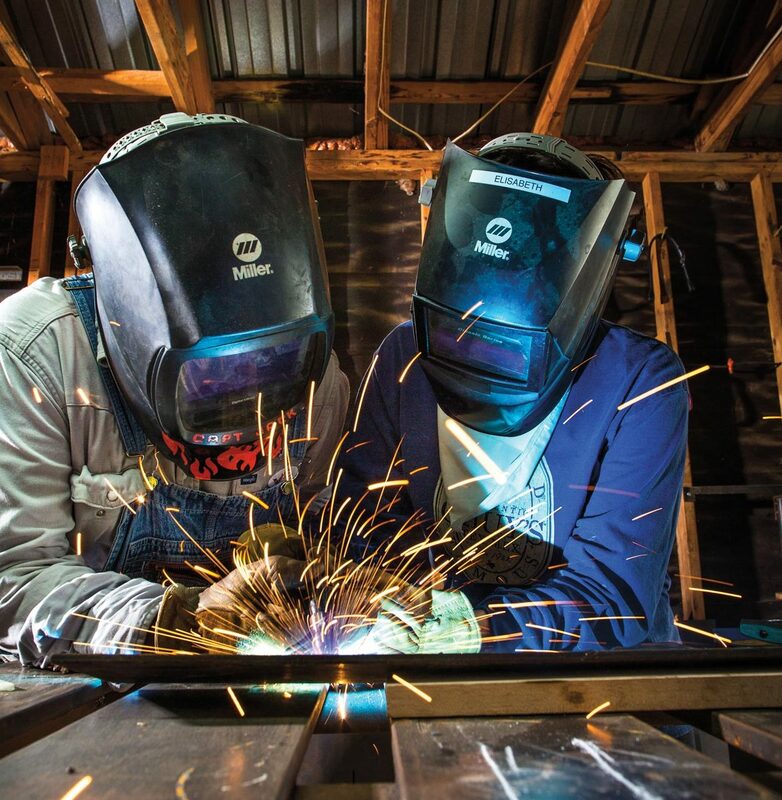 This course returns in March, but it’s one of three such workshops Sanders offers, including Camp Heavy Metal, an advanced welding session, in April, and Camp Butch, a collaborative project, or “Doonanny,” with Alabama folk artist Butch Anthony, in December. Even if your friends are huge music fans with the means to fly out to scenic venues, they’ve probably never been to a true underground concert, with a year-round temperature of 66 degrees. 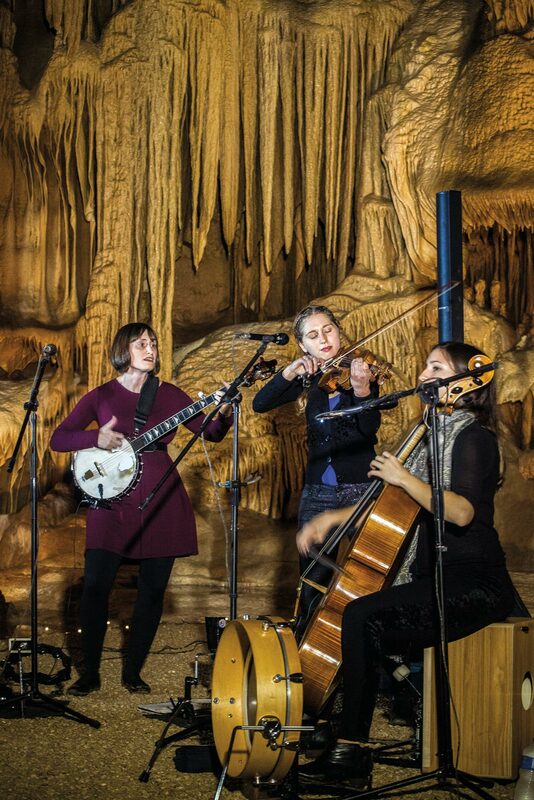 The Cave Without a Name, a clandestine moonshine locale during Prohibition and open to the public since 1938, hosts monthly live music events 11 miles northeast of Boerne. There are 126 steps down to The Throne Room, where the magic takes place among stalactites, flowstones, and natural drapery, so they’ll get some cardio, too. The bookings are of the neoclassical, seasonal, and acoustic variety—no one wants to haul amps or drums up and down 126 steps—plus cellos and violins seem to fit better in a setting where nobody has ever had to ask for more echo. Playing Jan. 19 is Neo Camerata of Dallas, who performed Elvis Costello’s The Juliet Letters to cave raves in early 2018. Tickets are $30 in advance. 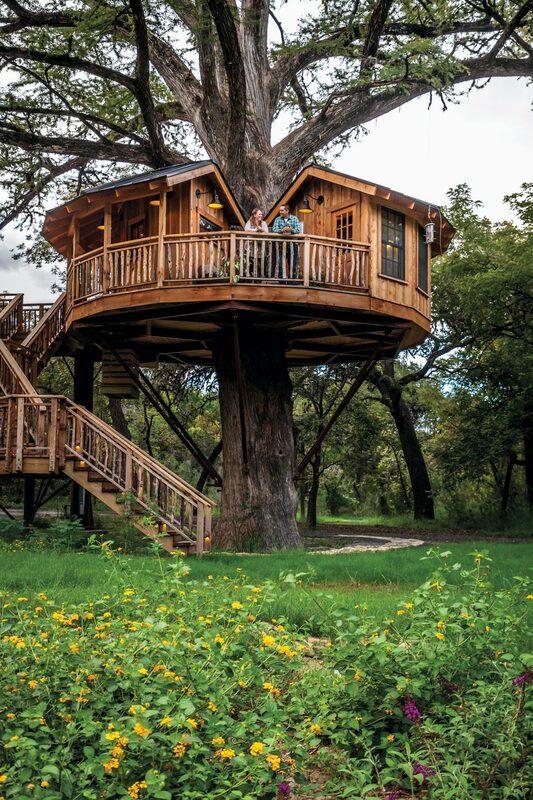 Just 80 miles west of San Antonio, Treehouse Utopia allows guests to relax in the treetops in one of four adults-only luxury treehouses. With air-conditioning, speedy Wi-Fi, and multiple porches, these tranquil lodgings are a step above (literally, they’re a few steps above the Sabinal River, a crystal-clear swimming hole that attracts all types of wildlife). Each treehouse ($475 to $525 a night) has its own theme: the Biblioteque contains a carefully curated library; the walls of the Chapelle are adorned with antique Catholic stoles; the Carousel incorporates repurposed carousel parts; and the two stories of the Chateau are connected by a spiral staircase. 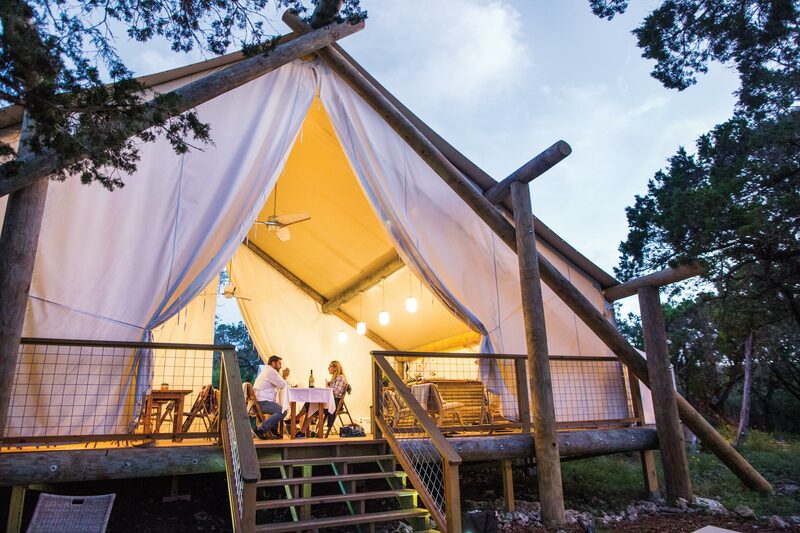 In April, Collective Retreats, a boutique glamping resort company, opened its first Texas location in Wimberley on 20 acres of the 225-acre Montesino Ranch. It’s a blend of ultimate comfort, high design, and spectacular views of the Hill Country’s natural wonders. It’s also a place where every meal is worth getting excited about. At breakfast, guests dig into complimentary, made-to-order dishes like chorizo-and-egg tacos or buttermilk pancakes while watching the morning fog lift from the rolling, lush farmland. For lunch, chef Steph Immel packages a gourmet picnic-in-a-box. After heading into town to explore (a concierge can assist in arranging bespoke experiences), guests head back to the retreat for a four-course dinner in the open-air lodge. Since Immel sources ingredients and prepares meals daily, reservations should be booked at least 48 hours in advance—she whips up something new almost every evening, and menu items have included wild boar medallions over cauliflower puree and roasted okra, 16-ounce prime rib with cheesy, crispy potatoes, and coconut flan for dessert. Before retiring to a well-appointed canvas safari tent with king-size bed, wood-stove heater, and en suite bathroom ($350 to $550 a night), guests cap the day with gourmet s’mores around the campfire. 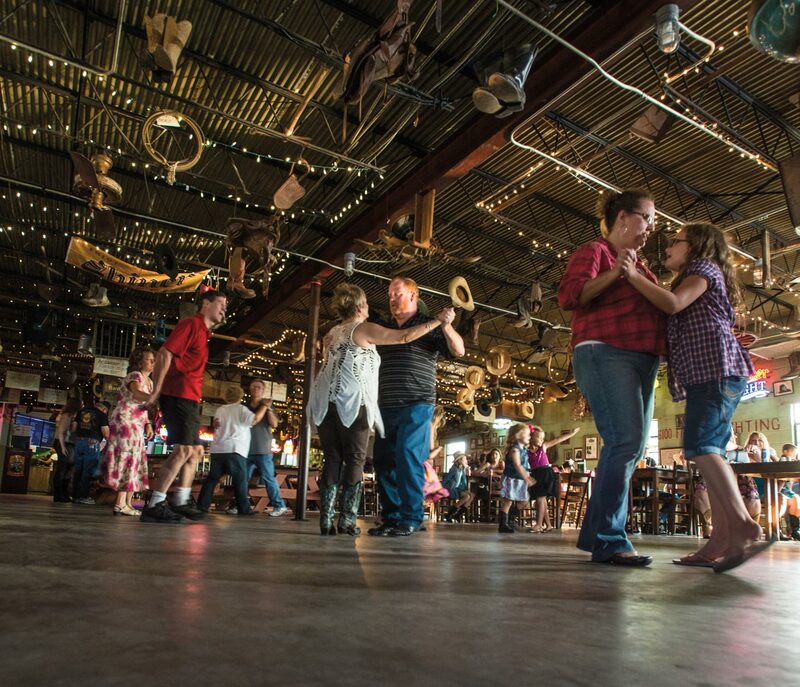 You meet a lot of friendly folks in Texas’ historic dance halls, as my sweetheart and I have discovered while two-stepping across the state. Not too long ago, after cutting a rug to a country song, I felt a tap on my shoulder. It wasn’t a prospective partner looking to cut in. She was not the first dance-hall darling to share her unsolicited wisdom with us. We really needed a remedial lesson in this most basic of traditional dances. So we booked a private tutorial from Beth Strickland, who gives two-step and swing lessons for an annual dance hall tour organized by the nonprofit Texas Dance Hall Preservation. Strickland also teaches at Go Dance, a brightly lit Austin studio (40-minute private lessons start at $69) where my wife, Laura, and I met her one evening. Strickland snapped her fingers as we stepped to her beat. She placed my hands where they were supposed to be and kept a close but forgiving eye on my footwork. To align ourselves through turns, we pretended to push grocery carts. Soon she had us two-stepping at a socially acceptable level. I even gave Laura a semi-successful spin. “When you go out and take a lesson at a public dance hall,” Strickland later told us, “they’re there to entertain you. They’re there to teach you a little something and get the floor moving. They’re there to sell drinks and let people have a good time.” In the studio, by contrast, our focus was educational. “Now Wes, with more confidence, I want you to walk forward,” Strickland instructed. Give your special someone their own river canyon for a day. 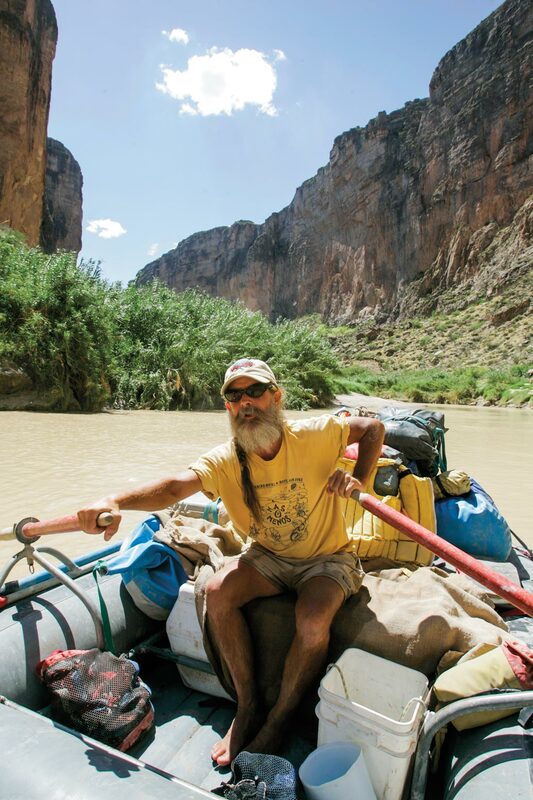 Desert Sports, the go-to adventure outfitter in Big Bend, offers daylong Rio Grande paddle-and-float trips that traverse the most wild and scenic country south of the Rockies. Daytrip activities depend on water levels, and fees range from $150 to $225 per person. 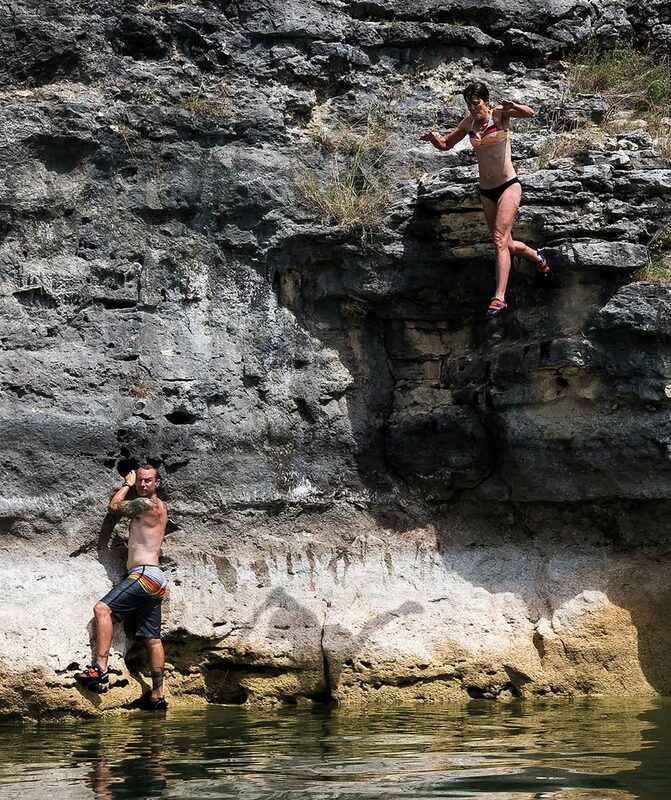 by-boat escarpment), then coaches them to channel their inner Spider-Man and inch up a slab of rock. The beauty of deep-water soloing, as it’s called, lies in the forgiving landing pad below. Mitchell pre-scouts safe, obstacle-free locales, so when climbers take a tumble, they splash into cool, greenish-blue water instead of hitting bone-crunching terra firma. Trips cost $95 per hour for a group of up to six people, with a three-hour minimum. Play three historic Texas public golf courses where bygone champions trod. Gift cards are available for Cedar Crest in Dallas, where charismatic Walter Hagen captured the 1927 PGA Championship; Brackenridge Park in San Antonio, site of Texas Open tournaments won by Sam Snead and Byron Nelson; and Memorial Park in Houston, where Arnold Palmer was victorious. 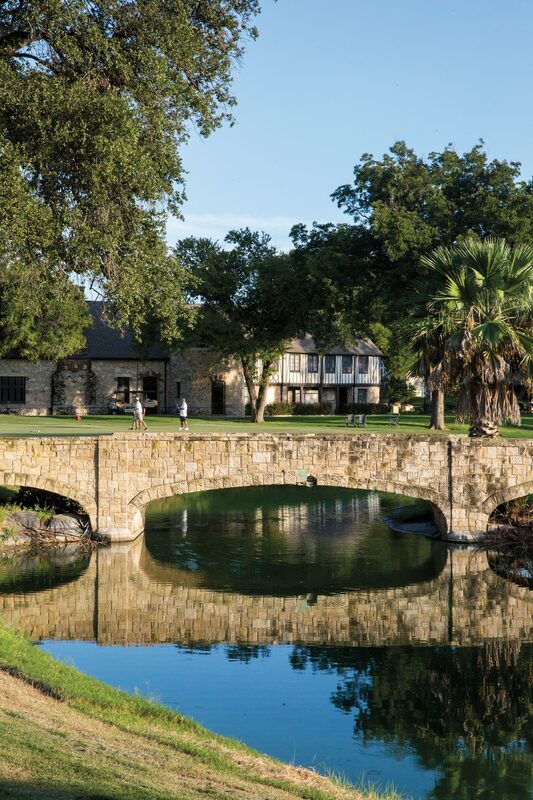 The courses highlight a golden era of golf architecture; Cedar Crest and Brackenridge are faithful to century-old designs of the legendary A.W. Tillinghast. resort course, play all three with money left over for golf caps, 19th-hole beverages, and a fabulous half-pound cheeseburger at Cedar Crest’s grill.